First up is my Aussie Colour Mate Shampoo. 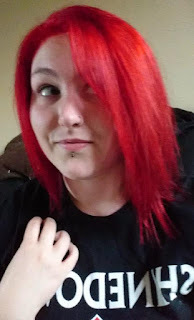 Since I use my shampoo twice each time I wash my hair, I wanted something that would keep my colour in for as long as possible. I think this is the second bottle of this that I have finished up and does really work well for my hair! I have decided to change for my next bottle, but this was just so that I didn't get bored of the scent and to see if anything else worked. Repurchase? I will definitely repurchase this shampoo in the future, I'll just try out a few others before I go back to it. Next up is the follow up to my Aussie Shampoo. It's their Repair Miracle Conditioner. Because I have to have my hair bleached every time I dye it, my hair is getting rather frazzled. It's pretty frizzy anyway and bleaching it is just drying it up even more, so I wanted to try this out to see if it helped at all. I think it did as my ends didn't seem quite as dry as before. Repurchase? I think I would repurchase this but I wouldn't rush out and feel at a loss if it was out of stock. 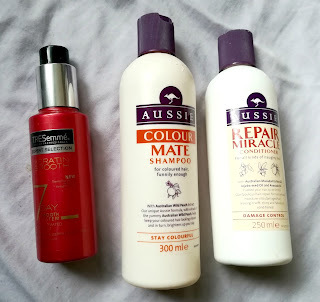 There are other conditioners I enjoy using. Staying with my hair care routine, I used up my Tresemme 7 Day Smooth Keratin Treatment. This was supposed to help keep your hair straight the more you used it and it was activated through heat, so it was a brilliant idea! I ended up not really straightening my hair after washing it but I still used this as a treatment before I blow-dried my hair and it did keep some frizz away! The scent was amazing! I can't even describe it but it stayed in your hair for days and was just brilliant! Repurchase? I would definitely repurchase this, but at the moment I'm using another hair oil which is also working pretty well, so I might end out switching between the two! I know a lot of people dislike makeup wipes, but sometimes they work wonders and can really help to get rid of makeup quickly and efficiently. 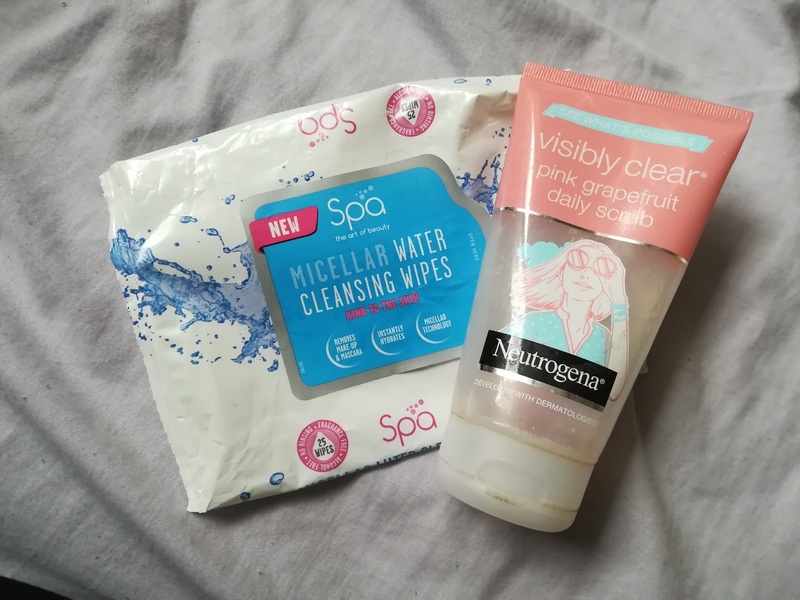 I finished up these Micellar Water Wipes from Spa and they honestly work brilliantly! These felt really nice on the skin and did remove a lot of makeup without much fuss or rubbing. I do use these wipes to remove makeup before bed if I have had a long day, or use them in the morning to freshen up! If I'm swatching a lot of products then I will use these too. Repurchase? These are so handy and I will definitely repurchase these, they are cheap but work great so they are easy to keep stocked up. For some reason, shower gels take me AGES to run through, and no, I'm not a smelly git! For some reason though, I just seem to be using the same shower gel for ages before it runs out! I'm still stocked up from Christmas before last! I did finish a body scrub recently, however. 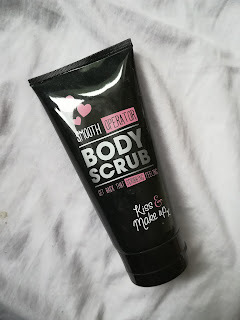 This is the Fab-U-Lous Smooth Operator Body Scrub that I received in a set for Christmas (just gone.) I didn't really find this to scrub my skin very much but I have to say, the granules in it were like glass if you stepped on them! They didn't hurt your skin when applying it but I found that sometimes if a few didn't wash away, the next time I trod in the shower I would end up in pain because of these! The scent was really lovely though as it was quite a mature scent, but definitely not grannyfied! It had a kind of subtle smell that almost smelt like a mans fragrance, even though you could tell it was a woman's scent! It's difficult to explain but it was a nice change from the usual floral and fruity scents I use. Repurchase? I wouldn't repurchase this, I have so many other shower gels to use up and I like foamy shower gels and this didn't really cut it for me. If there were any that I found that smelt like this then I might buy it but for now, it's a no from me. This next one I'm really sad about. It's my China Glaze polish in the shade Water You Waiting For. This polish isn't even empty but the formula has just gone completely gloopy! I tried to use it because it was a glitter so it doesn't matter as much if it is uneven or dabbed on, but it just did not work and was so thick it was completely unusable. I'm debating whether I should add some polish remover to it (because I'm not buying nail polish thinner for one polish) but I haven't done this as of yet so it has been sat in my empties box. Repurchase? I love this colour and how it applies! 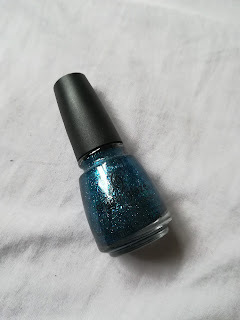 it was a bit flaky sometimes but I think I will repurchase this, or at least another colour like it! Some of these products have ended in the empties pile because I did a little clear out of my makeup draw. This powder from MUA was one of the first powders I think I ever bought so it is definitely time to chuck it out! The formula isn't too bad to say that it is only £1, but it's not the best I've tried. The colour is slightly darker than my skin too so it looks pretty strange when I apply it. 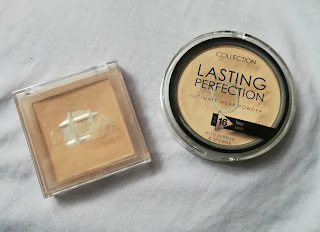 The Collection Lasting Perfection Powder was really good for me, however. This seemed to last me ages and was a second refill for me. It really helped set my makeup and the colour was right for my skin. It did add a little bit of coverage which I liked. The formula has gone a little iffy though now and it's gone pretty dry so I just couldn't work with it anymore. Repurchase? I wouldn't repurchase the MUA powder, because I have found so many other powders that I enjoy using more, but the Collection powder was already a repurchase, so I might end up going back to this after my Rimmel Stay Matte is finished. 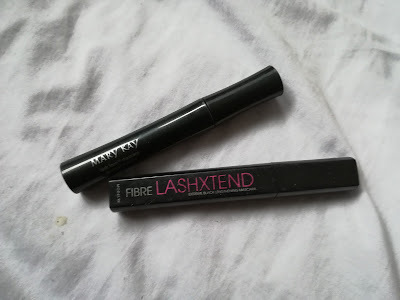 Carrying on with the clear out, I have 2 mascaras that are passed their use by date and are looking for a new home... in the bin! The Mary Kay mascara I received in a Glossybox back when I was subscribed. I enjoyed using this and it made my lashes look really nice! It was lengthening and didn't clump on the lashes, even after a few coats. The brush was a rubber brush and the bristles were very short, which I think helped ensure that the formula didn't clump up. 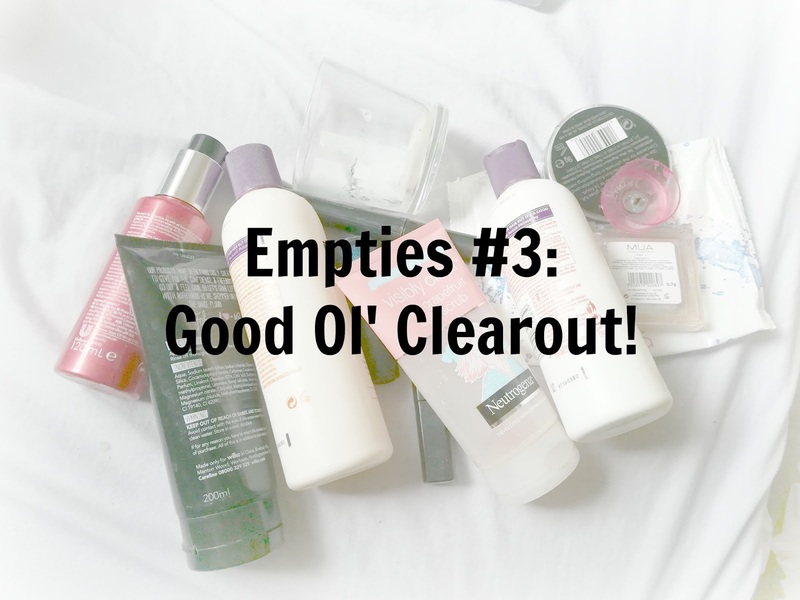 I finally bit the bullet and put this in my empties because it has dried up. The ModelCo Lash Extend mascara was free from a magazine and I can honestly say that this was crap! it was extremely dry even when it was new, and I just didn't notice any changes to my lashes when using it. This deserved to be in my empties a long time ago but I think it just got lost in my draw. Repurchase? I think I would repurchase the Mary Kay mascara because I always liked the way it made my lashes look. The ModelCo on the other hand, not a chance! Last up is candles... lots and lots of candles! 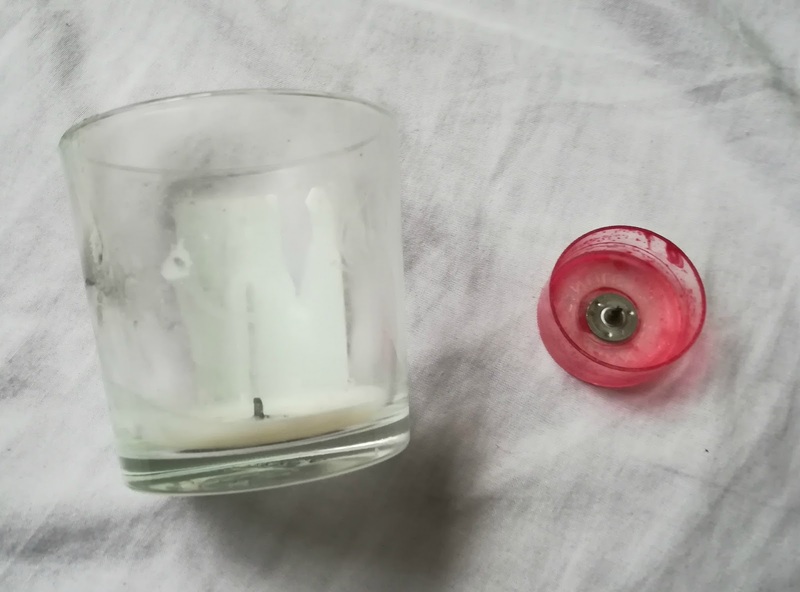 I love fresh scents in the summer (click here for my favourite summer scented candles) and I've been burning loads lately! I mainly use the Yankee Candle Samplers, so I don't have the packaging. I have got a few smaller tea lights and a jar from Ikea however. The tea lights have been Yankee Candle's Red Raspberry and they do smell brilliant and fruity! I have also used their Vanilla Lime tea lights and this has been a favourite of mine for a while! The last candle that I bought from Ikea is their Vanilla scented jar candle and I thought this burned really well. The scent lasted the entirety of the candle but it wasn't overpowering and it smelled like Vanilla ice cream! The candle was really affordable too. Repurchase? I still have a lot of the Red Raspberry candles so I won't need those for a while, but I would buy these again in the future! I already have the small jar version of the Vanilla Lime scent so that's a definite yes! With the Ikea one I probably would repurchase it if I was visiting again, but I wouldn't go out of my way to get one! Have you tried any of these products? what did you think of them? Let me know!